Annabell Green, of Palestine, joined her husband in Heaven on Sunday, the 9th day of September, 2018. She was 87 years of age. Mrs. Green was born in Tishomingo, Oklahoma on the 2nd day of September, 1931 to Millard Brawley and Annie Mae Tipton Brawley. Mrs. Green enjoyed working in her yard, especially her flower garden. She was a Christian who had a strong faith in the Lord. She loved to share her testimony of her and her husband becoming a Christian with others. She is preceded in death by her parents, Millard and Annie Brawley; husband of 65 years, Joe Bayne Green; three sisters and four brothers. Mrs. Green is survived by her daughter, Rejeana Reynolds and husband Don of Corsicana; son, Stephen Green; grandson, Justin Reynolds; great-grandson, Mason Reynolds; and brother, Billy Joe Brawley. Funeral services and a celebration of Annabell Green’s life will be conducted at ten o’clock in the morning on Tuesday, the 11th day of September, 2018 at Southside Baptist Church with Bro. David English officiating. Interment will follow in Roselawn Park. Friends are cordially invited to a visitation with the family one hour prior to the service, beginning at nine o’clock, at Southside Baptist Church. Those honored to serve as pallbearers are Justin Reynolds, Carl Wilhite, Ken Clary, Benny Toole and W.J. Copeland. 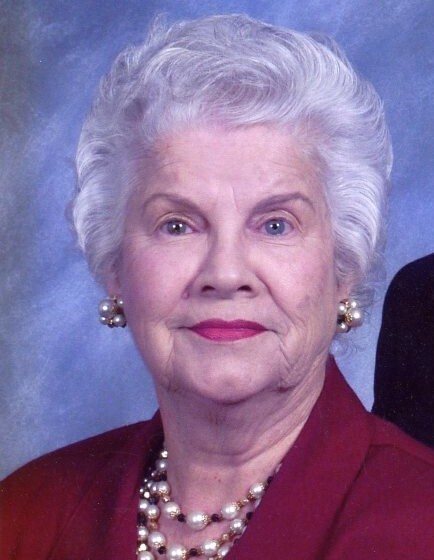 Funeral services for Annabell Green are in care of Rhone Funeral Home, 3900 S. State Highway 19, Palestine, Texas.